TORONTO, ONTARIO, November 30, 2017 – Long live new adventures! 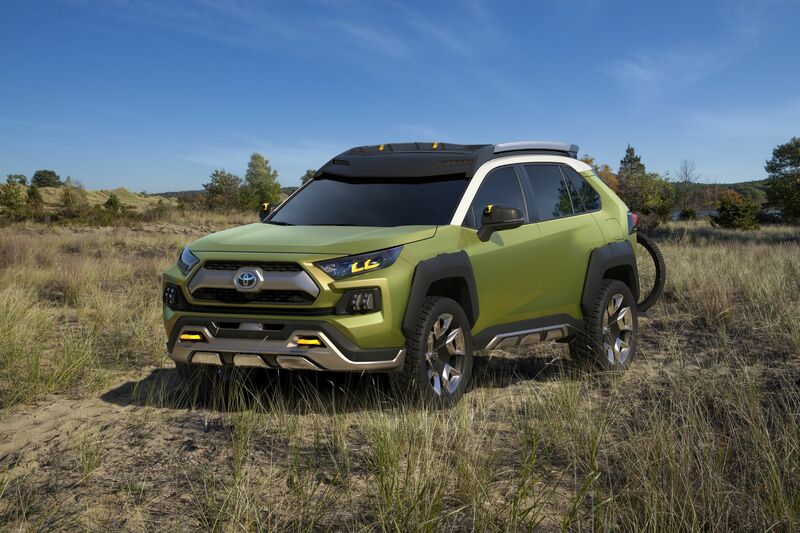 With the Future Toyota Adventure Concept, or FT-AC, comes the ideal versatility for living an active lifestyle, allowing deeper exploration to take life’s journeys even further. FT-AC is a catalyst – it’s both the invitation and the medium for breaking day-to-day routines and embracing the unexpected. FT-AC’s contrasting colours combine Prospect Green with Fortress Gray accents to highlight its go-anywhere brashness.